Other names: Magenta cherry, scrub cherry. 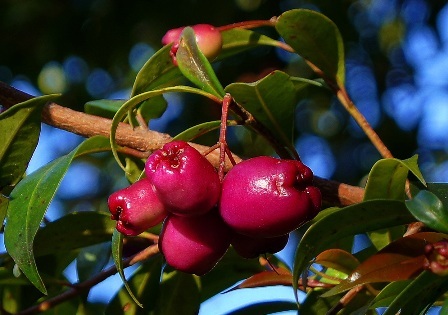 Brush cherry is a fruit from Australia. It is native to the rainforests of the East Coast of Australia. 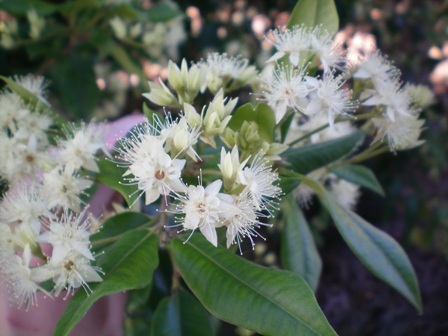 This is widely grown as a specimen or small shade tree in south eastern Australia. It is also suitable for streetscape planting. Brush cherry has now spread to many parts of the world. 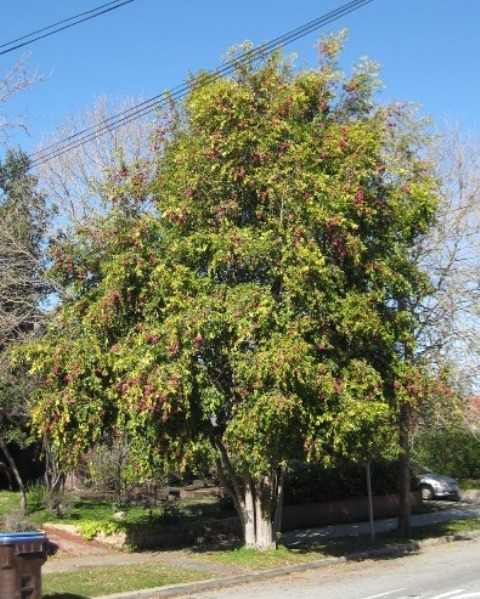 Brush cherry is a short or medium sized tree, with flaky bark that can grow upto a height of 10 m; leaves opposite (each pair emerging from the stem at the same location but on opposing sides), lance-shaped or elliptical, and bright, glossy green. ; flowers are white, showy and very pretty. Fruits a berry, 20 mm long, ovoid, fleshy and magenta coloured. The fruits contain a large seed. The fruits are crispy, juicy, and sweet tasting and make wonderful jam. The tree prefers subtropical climate but can withstand upto 25 F. The tree likes plenty of moisture all the year round. 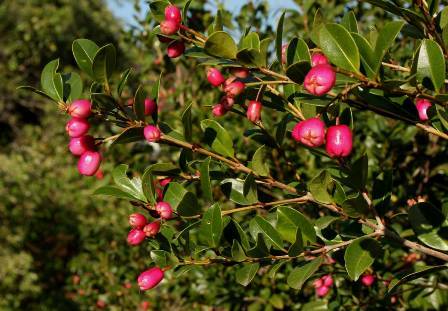 It can grow in sun as well as in part shade. This plant requires a rich soil. Propagation is mostly my seed. Some superior selections are, however, also raised from cuttings taken from firm current season’s growth.